Call Us Toll-free Between 9 AM to 10 PM EST Everyday! 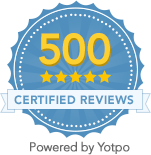 Check out our excellent reviews! © 2016 Yowza Fitness. All Rights Reserved.